Daiya Foods, a local food company in Vancouver, sells dairy-free vegan cheese products that tastes, shreds, melts and stretches like traditional cheese. All of their products are free of dairy, soy and gluten — three of the most common allergens. 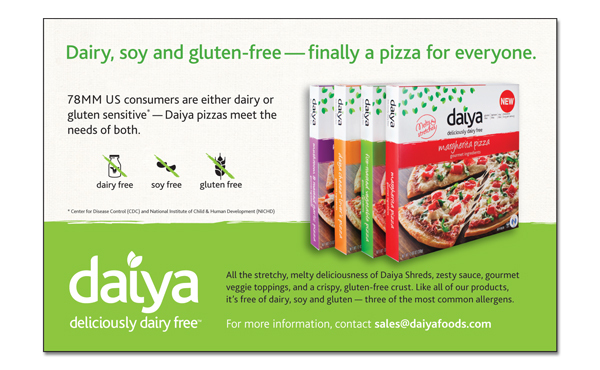 Numerous print and online ads, corporate collateral, and marketing materials were designed to enhance Daiya’s professional brand.